Whether you like it or not, the fact of the matter is that the modern world is ruled by logins, usernames, and passwords. While online databases whereby our information is stored have made our lives easier, there has never been a time where personal information is more likely to be stolen. This is so because hackers exists, and they will stop at nothing to get their hands on the personal information of others to be used for their own gain. Because bank accounts have usernames and passwords, people like to think that their information is totally secure. After all, only you know your username and password. In reality, however, this is not true at all and your login information is not nearly as secure as you might think. When it comes down to it, a hacker needs nothing more than two pieces of information (username, password) in order to access just about any account you may possess. While you might think that these are two pieces of information that are impossible to steal, people are much more careless with their usernames and logins than they are willing to admit. As a result, we see hackers laying claim to all sorts of personal data on a seemingly daily basis. For this reason, 2-factor authentication, or 2FA, has been growing in popularity in recent years, especially as it relates to cryptocurrencies. Though you might now know that 2FA can make your online accounts safer, you probably would like to know just what, exactly, it is. In short, 2FA does not replace usernames and passwords, but rather complements them. In addition to your login and password information, a 2FA protocol will require a third piece of information be provided. In some cases, the third piece of information is a personal question that only the user would know, or a physical item that is possessed and activated only by the user. 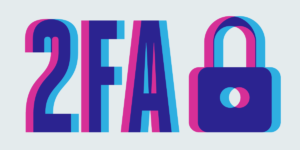 At its very basic level, 2FA is nothing more than an extra layer of security on top of your presumably secure username and password. What Does This Have to Do With Cryptocurrencies? 2FA and cryptocurrencies have a strong relationship primarily due to the fact that almost every legitimate cryptocurrency exchange utilizes 2FA in all its dealings. 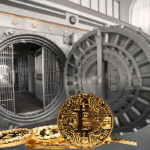 When sending Bitcoin, for example, most exchanges and wallets require you to login and enter password information before executing a transfer, even if you have already logged in. Other sites might send you an email or text message asking you to verify that the transaction is legitimate before it is sent. Because Bitcoin dealings are so final, this is crucial. With Bitcoin, once bitcoins are dispatched from a wallet, they cannot be retrieved. 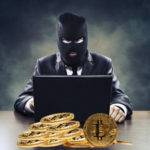 Understanding this, hackers are eager to get access to Bitcoin wallets, because in a matter of seconds they could empty an unknowing person’s wallet and send the entire balance to themselves without anyone knowing what hit them until it is too late. With 2FA, the attempted transaction would either be thwarted from the start because a hacker will not know your personal information, or be derailed when you receive an email stating that there is activity going on in your account, and clearly it is not you. 2FA is not a flawless technology, but it has worked wonders for people the world over. In fact, thanks to 2FA’s success in the cryptocurrency world, we are seeing large financial institutions mandate the use of 2FA. Now, when you login to certain bank accounts from a new computer, an email will be sent to you, or you might receive a phone call from customer service alerting you of the new activity. Hackers are conjuring up new ways to steal your money and personal information all the time, so it only makes sense that the way we deal with our own personal information changes in order to make things more safe and secure.